Well maybe gloom of night as no one has tried it yet, but nothing else seems to keep Maine NFC volunteers from taking to the woods to protect our invaluable State Heritage Fish waters. 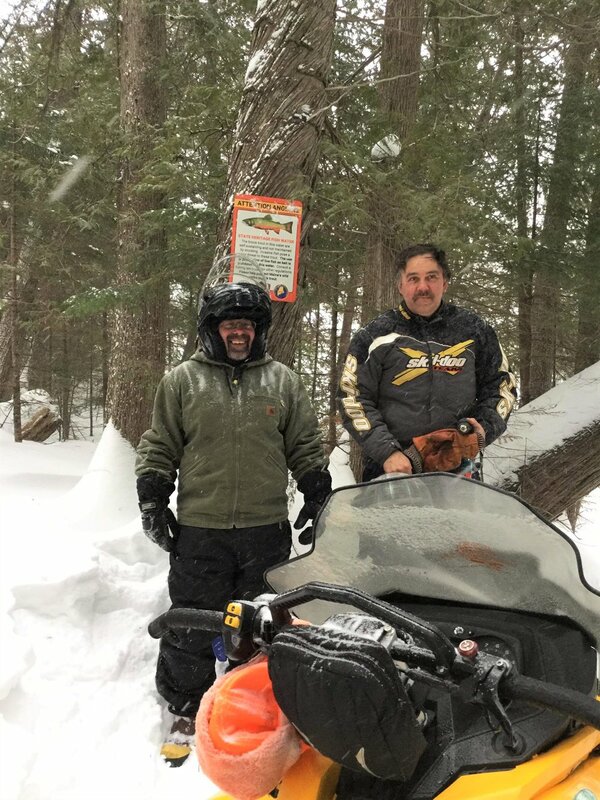 If you have a snowmobile, snowshoes, or x-country skis and want a good excuse to do some exploring while helping to protect Maine’s invaluable State Heritage Fish waters consider signing up to post signs on a pond or two. Click here to volunteer.